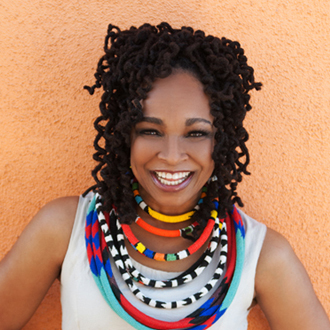 Siedah Garrett Interview - Writing "Man In The Mirror"
Siedah Garrett has been a respected and successful singer/songwriter for the past three decades. Best known for co-writing the classic hit “Man In The Mirror” for Michael Jackson, she also sang a duet with Jackson on the #1 hit single, “I Just Can’t Stop Loving You.” Both songs were prominently featured on Jackson’s landmark 1987 album, Bad, which has sold over 30 million copies worldwide. Garrett is also a two-time Academy Award nominee for Best Original Song, for co-writing “Love You I Do” (performed by Jennifer Hudson) for the 2006 movie Dreamgirls, and “Real In Rio” for the 2011 animated movie, Rio. In addition, Garrett has won a Grammy Award for “Love You I Do,” for Best Song Written for a Motion Picture, Television or Other Visual Media. Currently, Garrett has written & recorded a new song called “G.H.E.T.T.O.,” which she has released as a single. Notably, this recording features a rap performance by Common. In this song, the letters in “G.H.E.T.T.O.” stand for: Greatness Happens Even Though There’s Oppression. This single is a motivational anthem about not being defined by where you come from. Garrett got her start in the music business as a background vocalist, and then she sang a duet with Dennis Edwards (of The Temptations) on a single called “Don’t Look Any Further,” which was an R&B hit. Around that time, she auditioned for Quincy Jones and was signed as an artist to his label, Qwest Records. She released her debut album Kiss of Life in 1988, and she also sang lead vocals on two songs (“One Man Woman” and “The Places You Find Love”) on Quincy Jones’ Grammy-winning album, Back on the Block. In 1996, Garrett joined the popular group, the Brand New Heavies, and she was featured on their album, Shelter. Then in 2003, she released her second solo album, called Siedah. As a songwriter, Garrett has also written songs for Aretha Franklin, Miles Davis, Earth Wind & Fire, Jamie Foxx, will.i.am and other artists. Notably, she and Glen Ballard (who co-wrote “Man In The Mirror” with her) wrote another song for Michael Jackson called “Keep The Faith,” which is on Jackson’s multi-platinum album, Dangerous. DK: You have a new single called “G.H.E.T.T.O.” (feat. Common). Can you tell me about this song? Siedah Garrett: Yes I can. It came to be a statement (song). I wanted to call attention to the fact, that there needs to be a change in perception of those who believe that their circumstances determine what they can achieve in their lives, or how high they would climb or how successful they’ll be. And I think that song does speak to that in a very definitive way. DK: The song features a rap by Common. How did you decide to collaborate with Common on this song? Garrett: Common is a friend of mine. When I realized that the song could really use a hip-hop flavor, I knew I had to write something significant for him to want to be [involved]. He makes very intelligent, artistic choices, and I knew I just had to bring it—I had to write something that meant something, in order for him to want to be a part of that. DK: Over the years, you’ve written many songs for movies, and you’ve received two Oscar nominations for Best Song. Are you currently working on new songs for movies? Garrett: All the time. In fact, there’s a new documentary that’s coming out soon that’s called Mully. It’s about an African man named Charles Mulli who was homeless, orphaned and abandoned by his family, yet he went on to become one of richest businessmen in Kenya. And he decided to give all his money away and rescue orphans from the street, because he was a street child. So this man and his whole story is just so amazing. This documentary is poignant and meaningful and it touched me so much, that I’m writing a song or two for the documentary. And it’s a joy to work with Benjamin Wallfisch, who is a very important part of [writing the score]. He also co-wrote the score for the movie Hidden Figures with Pharrell and Hans Zimmer. DK: In 2012, you wrote and released a song called “Keep On Lovin’ You.” Was this song written as a tribute to Michael Jackson? Garrett: Yeah it was. It was my love song to Michael. I never got to tell him how much he meant to me. And we’ll be remixing this song for this upcoming project I’m working on. DK: Going back to the early part of your career, you had a duet hit with Dennis Edwards (of The Temptations) on the song, “Don’t Look Any Further.” Was that a big break for you? Garrett: That most certainly was. That was through (writer/producer) Dennis Lambert and (songwriter) Franne Golde. They were two songwriters who were at the auditions, when I auditioned for Quincy Jones, and I just started doing their demos. “Don’t Look Any Further” was a demo that was supposed to become a duet for Chaka Khan & Dennis Edwards. But they couldn’t get in the same room at the same time, so the record company ended up using my demo vocal for that song. So what you hear on that record…I’m really proud of that. DK: You said that you had an audition for Quincy Jones. So did this all happen around the same time? Mirror” at the Grammy Awards in 1988. Garrett: It sure did. That’s the reason that it happened. There were a lot of producers and songwriters in the room when Quincy was auditioning singers. At the time, he was producing Patti Austin, and every songwriter in L.A. was submitting songs to Quincy for the Patti’s new album. And I was singing on a lot of those demos (that were being pitched). So Quincy kept hearing my voice. It was just meant to be—the timing was just right. DK: Did you quickly and immediately sign as an artist to Qwest Records? Garrett: It wasn’t quick and it wasn’t immediate. It took like nine months to sign with Qwest. First, I would get these letters (from Qwest): “Congratulations, you’re one of 500 artists (who we’re considering)”, then 250, then 100, 75, 50, 10, and then finally four of us—me and three guys. It was both an artist deal and a songwriting deal. DK: I’ve always loved your song “Man In The Mirror” for Michael Jackson. It has a special lyrical concept and message. How did you know that the concept of “a man in the mirror” would be a great idea for Michael to sing? Garrett: Because the song was deeper than just the visual of a man looking at himself in the mirror. It was that, juxtaposed with the idea of a man going deeper inside himself to change from within. To make a difference on the outside, you have to first start from within. So I think that Michael just got it…he got the meaning of the song right away. DK: When you and Glen Ballard were writing this song, before it was pitched to Quincy Jones & Michael Jackson, did you feel it was going to be a special song? Garrett: We knew it was special, but we didn’t know that they were gonna love it (laughs). There were so many things that had to be in place…the stars had to be aligned. There was just no predicting what was gonna happen. Quincy had told me, “You know, [“Man In The Mirror”] is a great song. But we’ve been in the studio with Michael for two-and-a-half years recording [the Bad album], and Michael has yet to record anything that he didn’t write.” So it was always iffy. But as Ray Charles used to say, “It’s gonna do what it’s gonna do.” So I had to just let it be. The rest, I like to say, is HERstory (a play on words on Michael’s album, HIStory). DK: You and Glen Ballard wrote another song for Michael, called “Keep The Faith,” which was on his next album, Dangerous. How did you write this song and pitch it to Michael? “I Just Can’t Stop Loving You” live in 1992. Garrett: Michael asked us for another song with the same spirit as “Man In The Mirror.” And this time, Glen and I left the bridge (section) open for Michael to participate in writing the song with us. Michael did [like the song and wrote the bridge]. So actually, that’s the first song I wrote with Michael Jackson. DK: You also sang a big duet hit with Michael, on the ballad “I Just Can’t Stop Loving You.” How was it decided that you would sing this duet with him? Garrett: You know, I don’t really know the full details. There were a couple theories floating around (that this duet song was first pitched to Barbra Streisand and Whitney Houston). All I know, is I’m the one that’s on it (laughs). I really don’t know how it came to be, but it was meant to be. I then get up to go into the studio, and Michael stands up and starts following me. And I’m like (to Michael), “Where you going?” And I walk into the studio, and I see these two microphones, two music stands and two lyric sheets. That’s when I realized, because the lyrics said, “I Just Can’t Stop Loving You”—Michael, Siedah, Michael, Siedah. You know, the verses were mapped out, and that’s the moment I realized, “Oh my God, I’m doing a duet with The King Of Pop, the biggest star in the world!” I had to chill, and pretend, “Yeah…I do this all the time” (laughs). DK: So, placing your song “Man In The Mirror” with Michael, and then singing this duet with Michael, happened at almost the same time? Garrett: Yup, that’s absolutely correct. DK: That must have been a fantastic time for you, for it to happen like that. which is her tribute to Michael Jackson. Garrett: Dude, that was the most heady time of my life! That, and being nominated for Oscar Awards, were the best moments of my life. DK: Later on, you went on tour with Michael after his Dangerous album was released. What was that like, traveling the world and being onstage with Michael? Garrett: I went with him on the Dangerous tour, which was really his last tour. I toured with him for a year-and-a-half…we went all over the world. We traveled like kings because Michael was a king. It was just like traveling with royalty— wherever we went, he had legions of fans that were just true, who loved his music and his message. They just loved it, and he loved them for getting him. Michael’s fans really got him. DK: You worked very closely with two music legends: Michael Jackson and Quincy Jones. 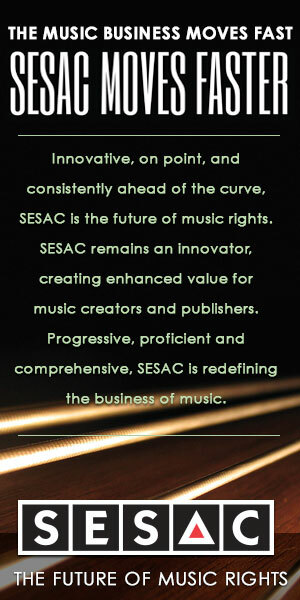 As a musician & artist, what did you learn from working with these two great people? Garrett: Well, I think one of the main things that they have in common, is they allowed the people around them to do what they do best. And the people around them want to do the best that they can do for these two, amazing artists. I mean, when you’re in the studio with Quincy Jones, and you play oboe, you’re gonna play the best oboe that you’ve ever played in your life! You know what I’m saying? That is the level that every musician [strives to be] when they’re in the studio with Quincy Jones and/or Michael Jackson. And I am no exception. DK: So Quincy and Michael wanted the best in people, and they helped bring out the best in you? Garrett: Oh God, yes. And you just want to give them that…you want to impress them with that. So that’s what you do—it’s a win-win for everyone involved. Everybody’s happy to be there. Everybody’s happy to be in their company, knowing that they’re making something that’s musical magic. It’s just a good day in the studio, honey. It’s fun. Musicians don’t go to work—we go play.